BELGRADE (Serbia), March 18 (SeeNews) - Protesters broke into the building of Serbian state television and blocked the office of President Aleksandar Vucic in Belgrade for several hours on Saturday in the most violent weekend of anti-government rallies in the country since December 7. Opposition leaders and protesters broke through the police cordon and rushed into building housing state television RTS in Belgrade on Saturday night, demanding access to air, but were stopped by special forces sent to prevent them from climbing to the upper floors of the building. The accident caused the immediate reaction of Vucic who made an address to the nation at noon on Sunday when he had to spend about five hours blocked in his office as thousands of people surrounded it. 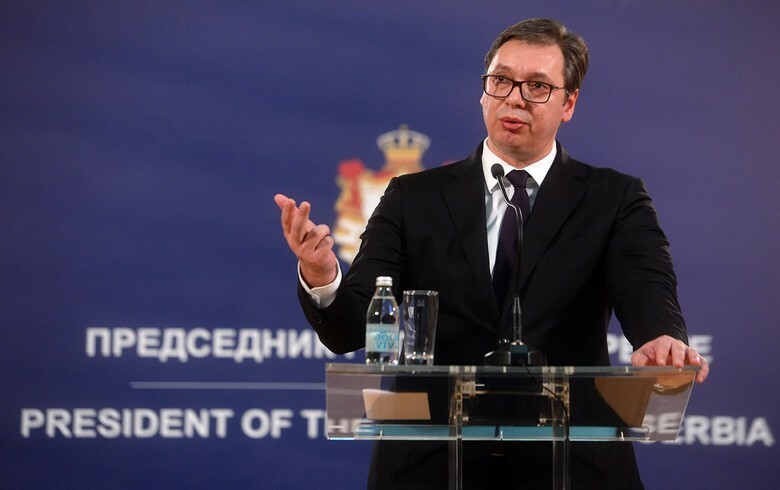 "The Serbian state will not allow you to threaten anyone with violence; everyone who thinks he can achieve political results this way is wrong," Vucic said in the address, according to a video file posted on the website of RTS on Sunday. A series of protests have been held in Belgrade since December 7, following the assault on Borko Stefanovic, leader of the Serbian Left party. The rallies are organised under the "One of five million" slogan referring to a statement by Vucic that he would not fulfil any of the protesters' demands, even if they were five million. The organiser of the protest, the Alliance for Serbia, was established before the local elections in Belgrade held in March 2018. It was later joined by the leading opposition parties in Serbia, namely the Democratic Party, Serbian movement Dveri and the People's Party. The Serbian Left party is a member of the alliance. "There is no going back for us: the resignation of Alexander Vucic, the resignation of Anna Brnabic, the resignation of [parliament speaker] Maja Gojkovic, the resignation of [RTS director] Dragan Bujosevic, preceded by at least 6 to 9 months of free media!," the leader of Serbian opposition movement Dveri, Bosko Obradovic, said during the blockade of the presidential headquarters. Vucic replied to the blockade with a photo of him playing chess with interior minister Nebojsa Stefanovic and calling on his supporters in a video file not to come to the site of the protest, in order to avoid clashes.